Future Girl. Words cloud, pressing the BUSINESS SOLUTION. Concept of pure new technologies, finding right solution, good integration, gaining business experience, sales growing up and much more. 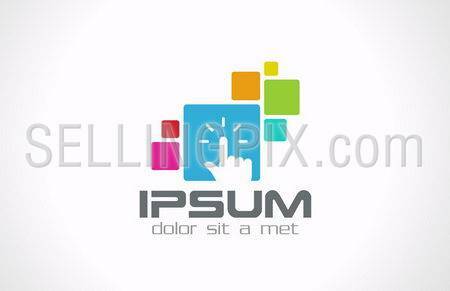 Developer touch interface logo template. Concept for internet & applications. Vector icon. Editable. Young businessman navigating in virtual reality interface. Glowworms in a ray of light below the globe hologram. Future technology collection. One of a series.